reliability at significantly lower current consumption and without a reduction in performance. 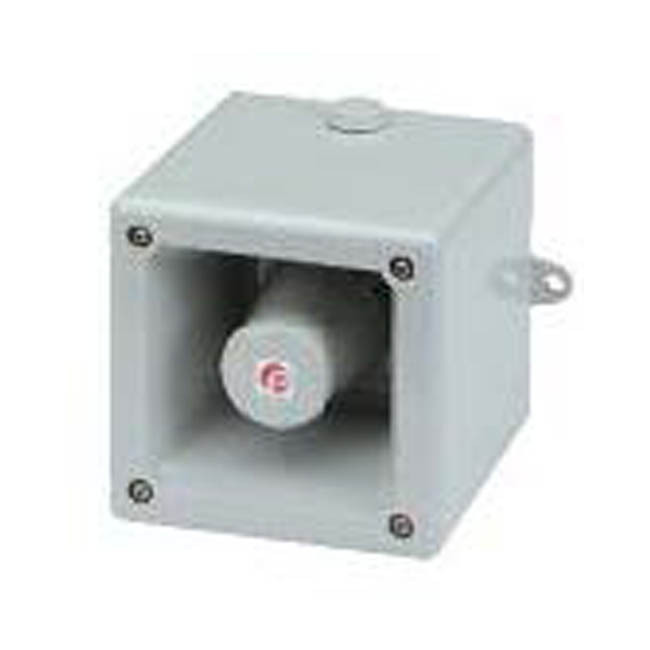 The products are zero maintenance (continuously rated) and accurately reproduce the following sounds: 470Hz industrial hooter, 1.7KHz high frequency sounder, 1.0KHz medium frequency siren, 450Hz buzzer and a mechanical bell. Each of these sounds have two additional, remotely selectable, alarm stages. The remote switch-off function generates genuine ‘tail off’ to sound when the alarm is terminated. The GPH range is a UL approved general purpose signal in a lightwieght, robust PC enclosure. The three alarm tones include a simulated electro-mechanical buzzer sound, traditionally only available from heavy, unreliable mechanical devices, plus two further warning tones. Suitable for 4” back box mounting the range includes surface mount and flush mount versions. 5.12" x 5.12" x 5.26"